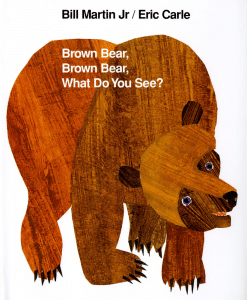 Brown Bear, Brown Bear, What Do You See? is a classic kids’ book perfect for the littlest learners. The wonderful illustrations and catchy rhyme easily capture the attention of young kids. It’s perfect for helping kids learn colours and animals vocabulary.